Throughout our home-buying experience, Autumn has been exceptional to work with. We were looking at purchasing a home in Florida that was half way across the country, and knew that we would have to rely heavily on our real estate agent's local team to be the eyes and ears on the ground. We were not familiar with the different areas of Bradenton and Sarasota, but we wanted to start looking there. After providing Autumn with a list of "must-haves" and "wants," she was able to give us a focused list of 6 properties that fit our dream-home criteria. Autumn's wealth of experience and knowledge of the real-estate market was evident as she guided us through an arduous negotiation to the successful close of our house. Autumn is a passionate, conscientious, positively energized, efficient, and hard-working agent who has earned our business and trust. We feel fortunate to have worked with such an extraordinary individual throughout this long-distance purchase. Autumn Moore came recommended as a realtor from a college friend. What a gift! She took to heart our "must haves" and found us the perfect home on the first day. (It was actually the FIRST house we looked at, but had to look at the others to be polite ??). We are new to Florida and had questions about local expectations and concerns. She had answers for us and if not, she found out the answers. When we asked to close 10 days early, she did the behind the scenes work to make it happen. With Autumn, we were always moving ahead. We did not languish at any point in the process. Her upbeat attitude was much appreciated! At closing, we told her we would miss her texts and emails as it felt like she's become a friend. We highly recommend Autumn Moore as your Realtor! Autumn was a joy to work with. She showed us all the available properties within our target area and price range. She was patient, professional, and very organized. The entire process from viewing homes to closing went smoothly because of her attention to detail. We highly recommend Autumn. I was truly blessed to have Autumn as my realtor!. The task of selling my property was quite challenging for a variety of unexpected reasons, but Autumn more than rose to the occasion. She solved problems, worked tirelessly, was ALWAYS available to me and to my multitude of "repair and upgrade" vendors, saving me endless hours of having to be present in a home where i no longer lived. Autumn's charming demeanor, her knowledge of the job and relevant market conditions, her added experience with obtaining titles, inspections, etc., her engaging wit, and her continuing friendship (even AFTER the sale of my home and purchase of a new one) have been truly invaluable to me. I would contract with Autumn AND with Michael Saunders and Company again in a heartbeat! We closed on our property on 08/24/17 and I would say that our experience with Autumn Moore as our agent was a delightful surprise .She handled every aspect of our transaction seamlessly as a true professional. She is knowledgeable, detailed and timely in every aspect. I will call her whenever i have a need for her services in the future. Autumn listed my house and I received an offer within 4 days. She was very supportive and an excellent advocate for me during the process. She consistently followed up on any issues and resolved these quickly. I would highly recommend Autumn due to her professionalism and knowledge. We were very happy with Autumn from the listing meeting to closing day. Everything went smoothly in large part due to her fast and thorough communications as she double checked that everything was getting done. We think that Michael Saunders is tops and that Autumn is very representative of their professional standards. Autumn went above and beyond any other realtor that we have used. She answers texts, emails and phone calls promptly. If she doesn't know an answer she will find out. We highly recommend Autumn and will be recommending her to my sister when she moves to the Bradenton area. Philip and I are very pleased with the excellent assistance we have received from Cheryl and Autumn . We highly recommend Autumn for the professional work which we greatly appreciate. - Philip and Marion W.
I couldn't have asked for a better experience than the one I had with Autumn Moore. She was cutting edge knowledgeable and on top of every detail until the last signature was completed at closing. All this while being warm, friendly and extremely personable! Autumn is a professional in every sense of the word - and just a delightful lady to be around! Autumn Moore is not only an excellent and professional real estate specialist...she is a very kind and caring person. She is easy to talk to and explains things in an easy to understand way. She will keep you totally informed. Even though she has many clients and is very busy, you will always feel that YOU are her priority. If you are fortunate enough to have Autumn as your agent, as I am...you will be in very caring and professional hands. Fantastic experience in buying of our home, as well as the purchase of our rental property. I recommend Mrs. Moore as she was open, transparent and flexible. Great customer service experience at all times. We hired Autumn to help my mom sell her condo and find a new home. She was an absolute pleasure to work with and a consummate professional. Phone calls and emails were returned immediately and she always followed up with what she said she was going to do. If she didn't know the answer to something, she would always find someone who did. She worked extremely hard at trying to sell my mom's house. She held open houses, sent postcards to the neighbors, kept us updated on what kind of feedback we were getting from potential buyers, and helped us stage our house to showcase its best features. When it came time for us to look for a new place, she took the time to get to know what we wanted and liked and was extremely patient with us. We had interviewed several realtors for this process, and we chose Autumn because of her knowledge, professionalism, demeanor, and most importantly, because she wasn't pushy like some other realtors we had met. Her personality is always upbeat and positive. And to top it off, she is an animal lover who got along famously with our dog, which was important to us! Autumn goes above and beyond what you would normally expect from a realtor. Not only was she a great resource for all things home related, but she even offered to help us pack and unpack our stuff! She treated us like family. We are proud to say that Autumn isn't just our realtor, but she now is also our friend. We wouldn't hesitate to hire her again. I had the pleasure of meeting Autumn when she helped my grand daughter purchase her first home. I was so impressed with her knowledge and personal interest that when I went to sell my house I called her. From the initial listing of my house to the sale and closing, Autumn made one of the most difficult times less stressful and one of the easiest I have ever been through. I would highly recommend Autumn to anyone! Outstanding excellence! Autumn combines expert local knowledge and diligence to achieve client satisfaction. Her experience helped me navigate through all the aspects of buying a home to include dealing with banks, title companies, inspection etc. Hands down the best realtor I’ve worked with. Thank you Autumn for your tireless help! Autumn was amazing!As 1st time buyers we had so many questions and were very careful. The process of buying a home took us awhile and Autumn was with us along the way to help with our questions. She was so supportive and patient and one needed it with us! At the last steps of the deal something almost broke it of but Autumn came to the rescue!She is knowledgeable and personable and we were lucky to work with her. Thank you! Rate her as excellent. Very pleased with the level of service provided in finding a home. She quickly understood my needs and provided appropriate listings to view. Found her very professional and easy to communicate with. Particularly impressed by her attention to detail, follow through and keeping me abreast of developments during the sales process. Recommend her highly. My husband & I loved working with Autumn. She found a house for us in our desired area that wasn't even on our radar & it turned out to be perfect for our family. We had so many questions & she answered all of them so quickly. Because of her we are proud homeowners! After showing us a plethora of home's we decided to completely change the location we had searched and Autumn patiently stood by us while we found the perfect home! Always with a smile, Autumn made the entire process a pleasure and fun! We are so happy here and the area is perfect. 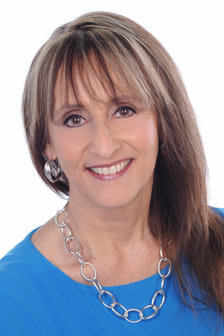 Knowledgeable and very professional, we will recommend her to anyone looking to buy a home. Thank You Autumn! My husband and I worked with Autumn long distance to secure our beautiful "soon to be" retirement home. She was efficient and professional which made our process easy and stress free. She even helped me secure a pool care professional. I would highly recommend her. We used Autumn for our first sale in Florida. She was very professional and yet still added her personal touch. We found her to be very responsive to our concerns and was willing to explore other options to complete the sale of our home. We would recommend Autumn to anyone trying to sell their home in a timely fashion! I can't say enough of how wonderful Autumn was to me in handling the sale of my condo. She was so professional throughout the process. Autumn is extremely knowledgeable of the market and offered great information allowing me to make educated decisions. I would recommend Autumn to anyone looking to either purchase or sell property. Thank you Autumn for all you did! Autumn Moore was an exceptional realtor she always went above and beyond her duties to help sell our house painlessly!!!! She is definitely a star in her field!! I've had the pleasure of having Autumn Moore as my real estate agent. With the purchase of my first home, Autumn never left any question unanswered and made me feel at ease knowing she knew her business and would stop at nothing to get me into my new home! She’s wonderfully kind and made me feel like her top priority. I’ve already recommended her to family and friends and I will continue to do so. Autumn deserves the highest praise and I’m so blessed she was able to be my agent. Autumn Moore helped me sell my condo this year at 3448 Beekman Pl in Sarasota. I could not have been more pleased with her services. She did a very detailed analysis of my property & guided me in making sound decisions. She made the process so less stressful. I would highly recommend her services and Michael Saunders & Company to anyone. I was also thrilled to see the donation made to the community on my behalf! Autumn did an outstanding job handling the sale of my house. She is extremely professional and helped me through the entire process. My property had some complicated issues that required investigating through the County and she expedited the process. I highly recommend Autumn and will have her represent me again. Autumn was a pleasure to work with. She always kept me updated of where things were and she truly insured the process ran smoothly. She always looked out for my best interest and gave her insight when needed. Our experience with Autumn has been nothing short of amazing. In 2017, we listed our home, only to have a change of heart. Autumn was very professional and told us to let her know when we we ready to sell. Fast forward a year later, and we listed again. Our home sold in less than a month, and we were able to get our asking price! Autumn was there every step of the way offering guidance and support. We are proud to have worked with Autumn, and would encourage anyone looking to buy or sell a home to consider working with her. Autumn was a true professional in helping us list and sell our home. We had a very unique piece of property that sits on Mill Creek. It was difficult to determine a price due to the lack of comparisons for a piece so unique. She was extremely helpful, and assisted us with just about every part of the sale...even helping us sell items in the house that needed to be sold. She made some great recommendations and worked with each interested buyer to give them exactly what they needed. Once we had the right price we had multiple offers and sold our home to a great buyer. It was an emotional move to sell this home and she could not have made the transition any easier. We are so happy and appreciative to Autumn and would recommend her to anyone who needs to see their home. She is our realtor of choice!